Hi guys! I'm new to the forum, but I've been playing RA2 for a bit. I'm decent at Stock, but I'm new to DSL. I've done some bots in Stock, and they're much better than my DSL bots. But I lost the files to both. Anyway, I've recreated some of my DSL guys on a different PC. Just a note, I have NO idea how attachment works. Everytime I try to insert one, it always shows as invalid. Sorry for the links. My most successful HW (it's still not good lmao), Locked Cage! 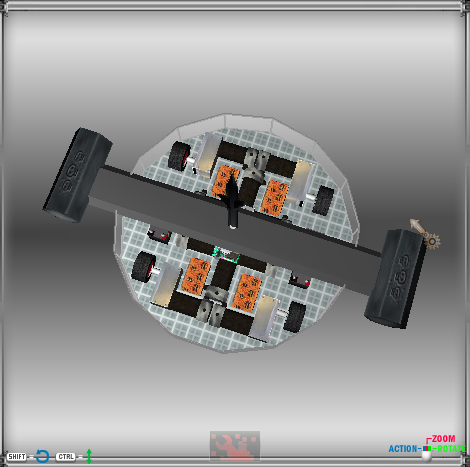 60 kg Sledgehammers on a Whyachi Tribar, powered by a Dual Perm. The armor is 10mm Plastic, and the wheels are red ant wheels. 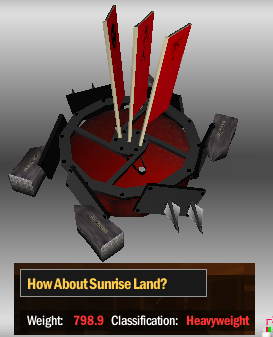 This thing actually can't be used on KOTH since it can't get up a slope. I need to improve this. It's all downhill from here. 60kg Sledgehammers on a 35x200 (250?) DSL Bar, also powered by a Dual Perm. Also 10mm Plastic and the wheels are red ants. 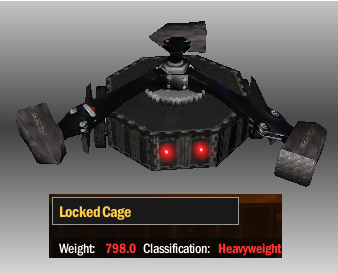 Unlike Locked Cage, this can be used in KOTH. I also need to improve this. This one is a failed experiment. Half a remake of one of my Stock VS, half a Mako clone. Somewhat related to Hurricane, a VS named Monsoon. 4 30kg Sledgehammers on 2 25x250 DSL bars, both powered by Perm 132s. Armor is 1mm Plastic and the wheels are clearly Overkill's. 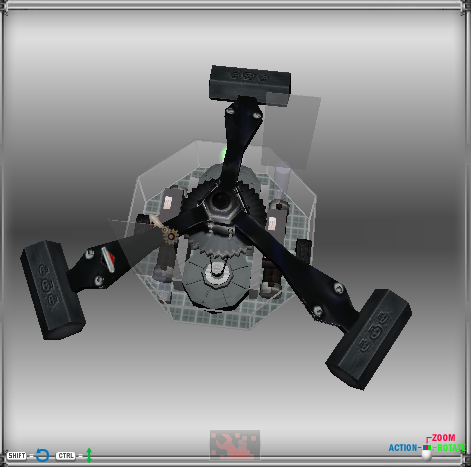 Pretty unbalanced, and gyro makes it impossible to drive without falling over. I tried to counteract this using 50kg worth of ballasts, but it barely helped. Used to have wedges, but abandoned them. I have no idea why I did that. Might redo him in the future. Maybe not. Not sure. [img]https://cdn.discordapp.com/attachments/267939138961932299/429546944835092481/lc2.png[/img]becuase I feel like tried of clicking the link to see the image. 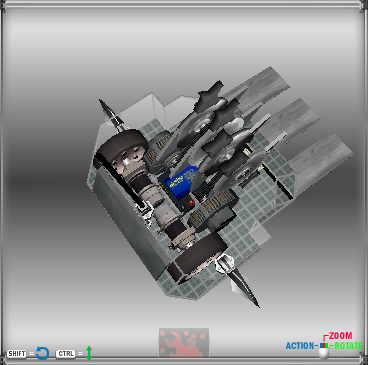 Secondly: Use Image attachment system. Wen made a thread about it. Thanks for the tip, mate! Edited it now. Also, I experimented a bit and I made a better Monsoon. 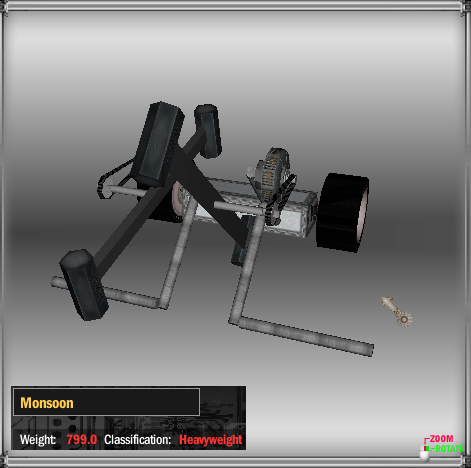 Behold, my masterpiece, Monsoon 2! It's a VS that's now not a semi Mako clone. 16 Large Beater Bars on 4 DSL Disks, powered by 2 Perm 132s. 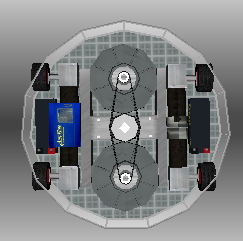 The armor is now 3mm Aluminum, and clearly, Pussycat wheels. It still uses NPC-T64 Fast motors for the drive. The srimech is powered by a fast Whyachi Burst motor. It used to have cutting teeth, but they always broke and I would get destroyed by my next tournament opponent. The armor plate on the back is made out of 40x120 cm Titanium and it's wedge counterpart. The wedge is made out of steel skirts. It's not the greatest wedge, but it's decent. I still need to learn how to make good wedges. Aside from burst wedges. Secondly, there are a lot of areas where your Monsoon can be improved. Srimechs are pretty cool, but most VS have a weapon that is strong enough to flip the robot over when upside down, and simply going off of that is great for competitive VSes because then they don't have to spend weight on the srimech. From what I can see, the wedge is made from an extended skirt hinge, but your robot will be wedgier if you use multiple single ones (having the wedges connected into one big wedge is worse). 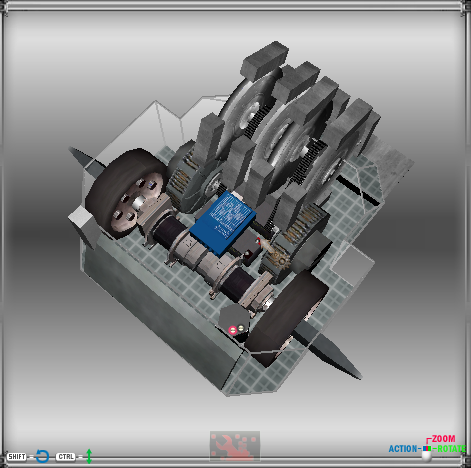 Also, the wedge and probably the front end of the robot should be wider. 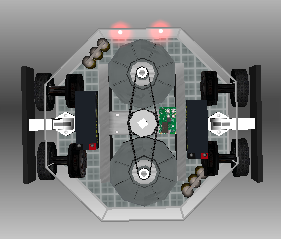 This allows for wider wedges and more area for an opposing robot to sit on. 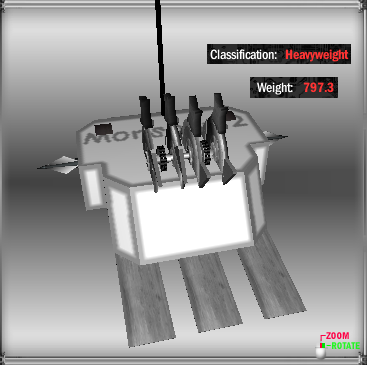 Lastly, having stray iron spikes isn't the most efficient use of weight. 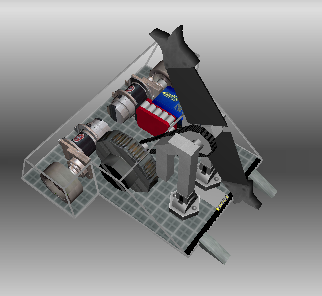 I know I'm killing the aesthetic look of your robot with those last two pieces of advice, but they would help with maximizing the effectiveness of the robot in combat, if that's what you care about (and generally is what the DSL-S building style focuses on). you may want to use metal skirts for that vertical spinner supports. they are much more efficient and have more hp than round connectors iirc. Hiya, guys! 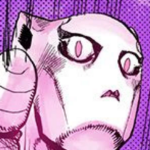 Sorry for being a bit inactive here. I do it to not make my replies super long. Noted, and put into action! Bang. The new and improved Monsoon 2! 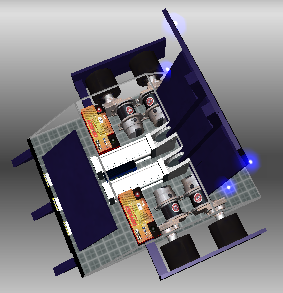 I made the chassis bigger, but didn't change much of the internals. The srimech was removed, so that was a great weight loss. Thanks to that, I made some of the teeth the Heavy DS teeth. Aside from those, I replaced the beater bars with small Typhoon teeth. Armor is still 3mm Al. The skirt wedges are significantly more wedgy are made out of Titanium. I removed the iron spikes from the wheels and replaced them with razors on mini baseplate anchors. Unfortunately, it has trouble self righting. The antenna and LED is there to take up weight. Plus, coolio new skin! 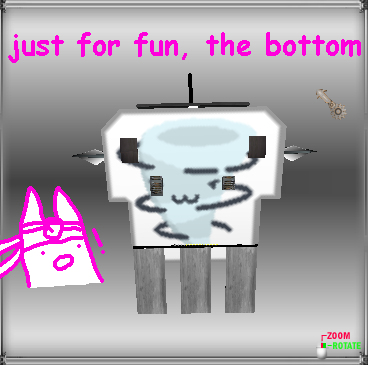 Bonus: The bottom has a picture of a tornado. Why? Why not? 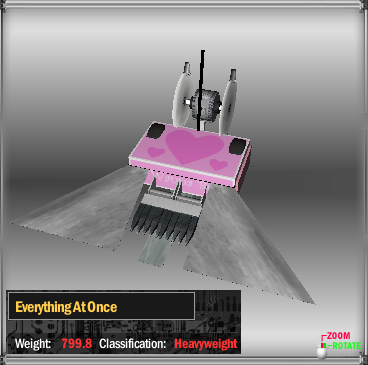 And a brand new bot, Everything At Once. That's the name because it's a hybrid. Plus I like the song. Shush. The armor is also 3mm Al, and the drive is NPC-T64 fast motors. The wheels are Tornado wheels. Unfortunately, this can't self right! The antenna is there to take up weight. 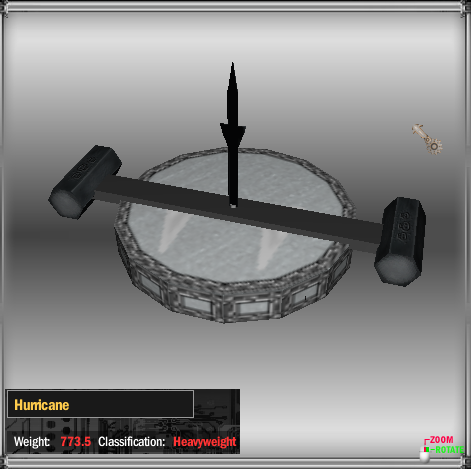 The main weapon is a True Popup made of 2 Storm Front Hinge Pistons and 10 irons. I feel like I could make doht using the VDMA version, or even an R/P. 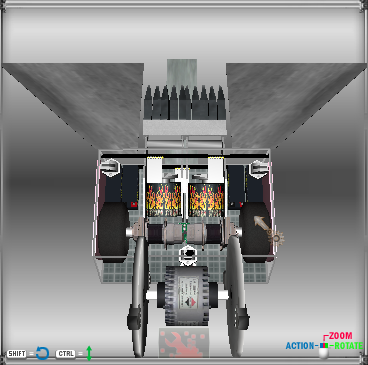 The second weapon is a VS using 2 Microvore disks on a Dual axle E-Tek. 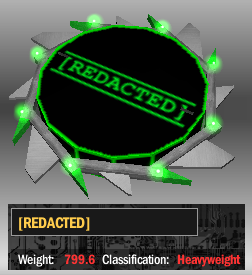 I used a Microvore disk because the old weapon [two 25x100 DSL bars with Heavy DS teeth] broke off to easily. I hear that the Mechdisks are hated around here. Sorry. But, I do have a cool skin! I did what Naryar said I should do, and the old Monsoon became pretty stable from before. I also replaced the drive to a slower one, but it's much more controllable. 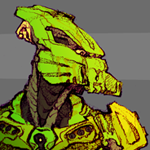 Unfortunately, I feel like I won't revisit the old Monsoon design any time soon, so no pictures. 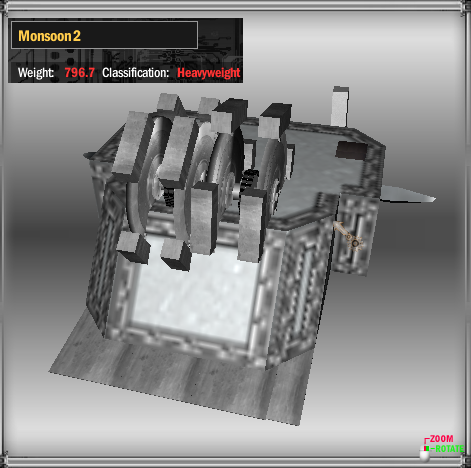 Monsoon looks improved, but it has no protection other than a back armor plate, that should be moved to the front. What's with the back weapon on Everything At Once? For now, it looks like a weight waster. Aye, thanks! I should really give Monsoon some front protection, eh? Will do that. EAO's back weapon is there to give her more firepower, as the popup weapon doesn't do as much damage as you'd expect a popup to do. Right! 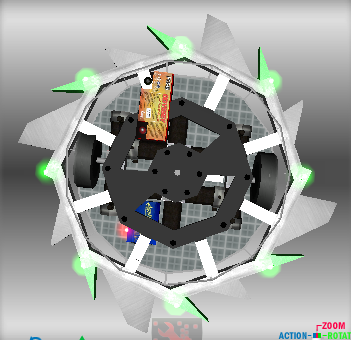 I'm back and I'm ready to post more robits. 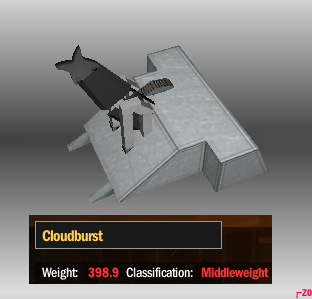 First up, Cloudburst, who I hope is IRL. Not my first MW, but it's successful. Too lazy to skin it ATM. Armor is 5mm Plastic. I used NPC Fasts for the drive. I sort of consider this a Middleweight Monsoon 2 as they're both vertical spinners that roughly use the same chassis shape. What do you guys think? My first shell spinner, How About Sunrise Land! HASL for short. Fun fact: This is not the first build of HASL. I have an older version which uses razor spam. If you guys would want to see it, I could post it. I used 60cm Side Panels to hold the four 70kg hammers. Armor is 1mm Plastic. I could do bottom armor, but I have no idea how to. I do have more bots (and revisions of old bots!) to show off, but for now, these are the ones I will show off. Both could look better. Cloudburst especially isn't a looker. Either way, their internals are pretty neat and organized, so not bad at all. How could I improve their looks? CBurst I still plan to skin soon. 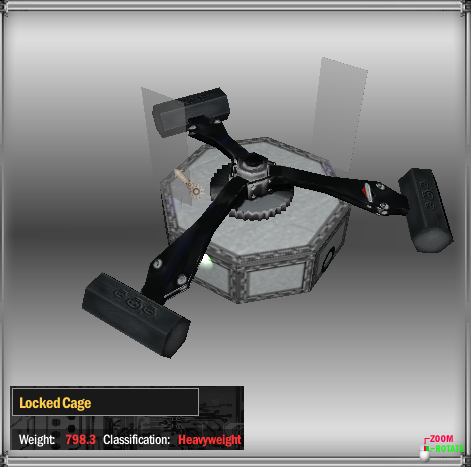 Here is the brand new Locked Cage! I really should have named it Locked Cage II. 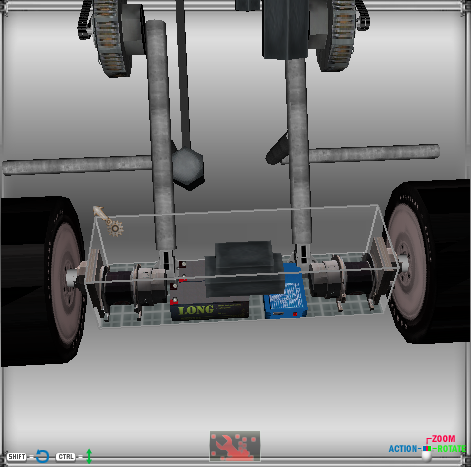 The internals are mostly the same except the drive is now 4 SlimBody motors. I changed the armor from 10mm Plastic to 5mm Ti. Plus, cool skin. Agh, sorry for double posting..
First IRL bot posted here! 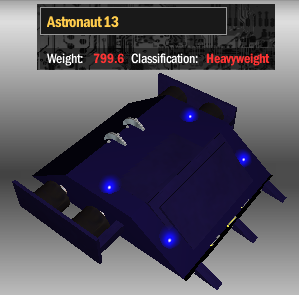 Astronaut 13 is a pretty cool build IMO. Drive is regular NPCs. Top of the flipper is Ti and the bottom is Steel. Forgot what the armor is. If I remember, it's 3mm Ti. Bursts are Wide Mediums. Latest IRL bot that I built, [REDACTED]. It's a ring spinner! The teeth are large and small Typhoons and Ti wedges. Armor if I remember is also 5mm Ti. It might be a bit spammy on the teeth, but I'm not sure.